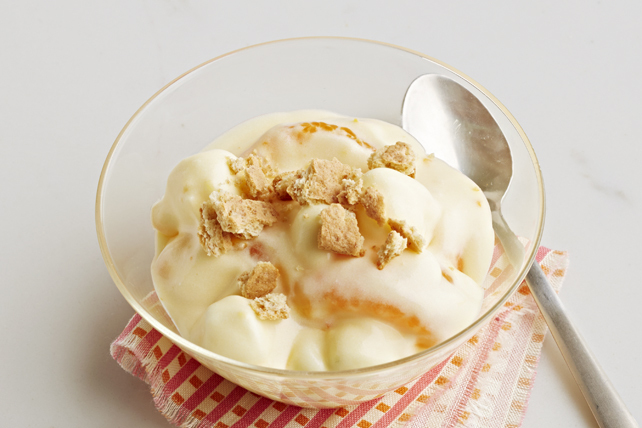 Our Mandarin Orange Fluff Dessert is made with a few on-hand ingredients. This no-bake dessert is simply delectable and delectably simple! Beat dry pudding mix and milk in medium bowl with whisk 2 min. Stir in Cool Whip and oranges. Stir in marshmallows just before serving; sprinkle with crushed wafers. This easy-to-make dessert can be refrigerated up to 24 hours before stirring in the marshmallows and topping with the crushed graham wafers.